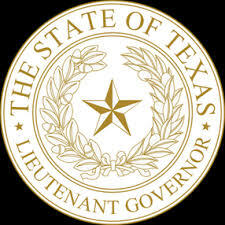 Does your state have a lieutenant governor? And what does he do, anyway? Not all states have this office, and those that do place him in office by different methods. The duties of the lieutenant governor also vary from state to state. So what’s he there for? The usual case is that if the governor is unable to carry out his duties, the lieutenant governor is the man—or woman, as in the case of my adopted state of Kentucky—who will take over that job. Five states do not have a lieutenant governor, including my home state of Maine. The others are New Hampshire, Arizona, Oregon, and Wyoming. So, if the governor dies or is otherwise put out of commission in one of those states, who’s in charge? In Maine and New Hampshire, that honor falls to the presiding officer of the State Senate. In the other three (Arizona, Oregon, and Wyoming) the Secretary of State would become governor. Okay, so what about the forty-five states that do have lieutenant governors? How does he get that office? In forty-three of them, this is an elected office, and in twenty-five of those the lieutenant governor is selected with the governor, on a party ticket. Eighteen other states elect the lieutenant governor separately from the governor. That leaves two states. Tennessee and West Virginia had to be different. In West Virginia, the President of the Senate automatically serves as lieutenant governor, and he’s elected from within the state’s Senate. In Tennessee, it’s similar, but this time the title of the official serving as lieutenant governor is the Speaker of the Senate. Again, this officer is elected by the Senate. cases, he also acts as governor if the governor is absent from the state or temporarily incapacitated. Some serve on the governor’s cabinet. Some serve on boards, commissions, and task forces. 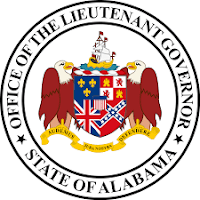 Of course, if the governor dies, resigns, or is removed from office, the lieutenant governor becomes governor (or in some cases, “acting governor” until the next election). In three states (Alaska, Hawaii, and Utah), there is no Secretary of State, but the lieutenant governor performs the duties usually assigned to that office. There are currently 36 Republicans and 14 Democrats serving as lieutenant governor or serving as the first in the line of succession. All but a handful of states have had female lieutenant governors. The salary for this position ranges from under $10,000 in Texas to more than $160,000 in Pennsylvania. What about your state? Do you have a lieutenant governor? Do you know who he or she is and what their job requires? Do you like romantic suspense? In Hearts in the Crosshairs, I created a female governor for Maine, another thing that state has never had. And she’s dodging bullets. Enter a drawing to win a copy by commenting here today. The winner can choose a paperback or E-book. Susan Page Davis is the author of more than sixty published novels. She’s always interested in the unusual happenings of the past. Her newest books include Mountain Christmas Brides, River Rest, Tearoom for Two, and Sleight of Hand. She’s a two-time winner of the Inspirational Readers’ Choice Award, and also a winner of the Carol Award and the Will Rogers Medallion, and a finalist in the WILLA Literary Awards and the More Than Magic Contest. Visit her website at: www.susanpagedavis.com . Yes, my state does have a Lt. Governor, Kentucky Lt. Gov. 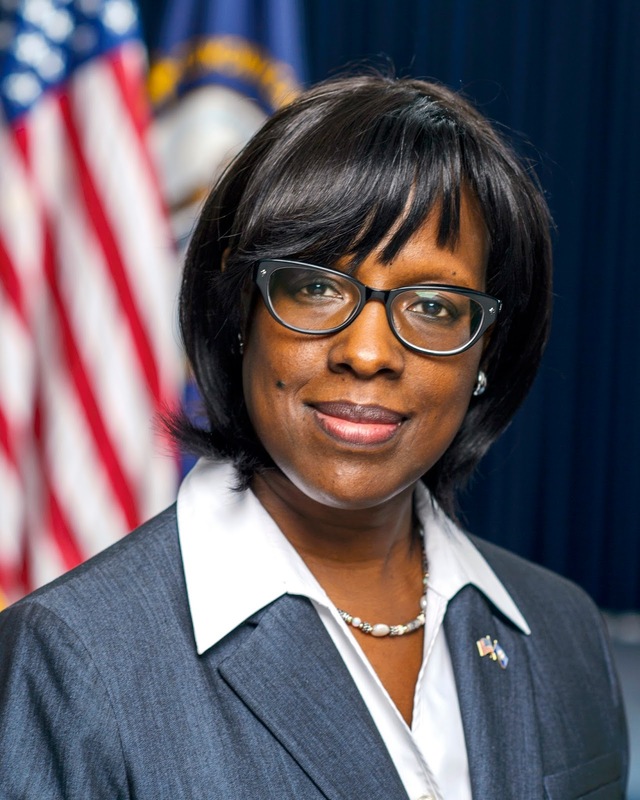 Jenean Hampton, and it was good to see her picture on your post. Many of our Lt. Governors have later become our Governors and Kentucky has just had one female governor so it will be interesting to see if Me. Hampton will become our second. Your book sounds very good. Thanks for sharing! Thanks for the info, Connie. I've lived in KY six years, and I'm still learning about my new state. Thanks for stopping by, Connie! Nope, no L.G. in Maine. I have learned since moving away that Maine is different from most states in a lot of ways! Hi, Susan. Canada has a Governor General, who is the resident representative of the current ruling monarch of the United Kingdom, currently Queen Elizabeth II. Canadians elect the Prime Minister and ruling party, but the Governor General is appointed by the Queen on the Prime Minister's recommendation. The Governor General then appoints a Lieutenant Governor for each province. They are the liaisons between the monarch and their province and act in her stead during state functions. For example, either the Governor General of Canada, or the Lieutenant Governor of British Columbia, will be available to the Duke and Duchess of Cambridge and their family for the duration of their 2016 Royal Visit, which starts tomorrow. Or you can think of it this way...if the Queen wants something from Canada, or to talk to someone from Canada, she must send a request to the Governor General's office. Likewise, if I, as a Canadian, wish to have an audience with the Queen, I would send my request to the Lieutenant Governor of Saskatchewan, who would forward it to the Governor General's office in Ottawa. They would decide if my visit had merit and if so, they would pass the request on to their counterpart in the UK. That is so cool, Anita! I did a little reading on the Canadian governors and lieutenant governors when I was writing Love Finds You in Prince Edward Island,but I haven't delved very deep. Thanks a lot. The Lieutenant Governor of California is a statewide constitutional officer and vice-executive of the State of California. 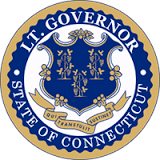 The lieutenant governor is elected to serve a four-year term and can serve a maximum of two terms. In addition to basically ceremonial roles, serving as acting governor in the absence of the Governor, and as President of the California State Senate, the lieutenant governor either sits on, or appoints representatives to, many of California's regulatory commissions and executive agencies. California is one of eighteen states where the governor and lieutenant governor do not run as running mates on the same ticket: in California the governor and lieutenant governor are elected separately, although both are up for election in the same year every four years. California has had a governor and a lieutenant governor of different parties 26 of the past 31 years. I am not happy with our current Governor....he needs to be replaced with a Godly man who will protect our state from the corruption spreading throughout this country. Forgot to add that your book looks really good. Please add me to the drawing. Wow, Debbie, you've really done your homework! Pat yourself on the back. And thank you. Your name is entered. Illinois Lieutenant Govenor is Evelyn Sanguinetti. She is the first female Latina elected Lieutenant Governor. She works with our Governor Rauner, Constitutional Officers and the Illinois General Assembly to give our residents every opportunity to achieve the American dream. Our current Governor and elected officials are unable to come up with an accepted budget for the state. Our last fiscal year ended with no budget, programs closed and universities staff downsized do to no state funding. Good job, Marilyn! We're practically neighbors. Tennessee has a Lt. Governor. I am not sure what the job is, but the one that is retiring has introduced some really unwise laws. Even more disturbing, some of them passed. Some of his statements and opinions have been confrontational. He has a tendency to dismiss those who don't agree with him. I hope the next one is more interested in cooperations and progress. When I first started reading, my main interest was mystery and suspense. I still enjoy it, but have added many other sub-genre. Maine is a favorite place for us. It was where we lived when we first got married. We will be making a New England trip soon and will be spending a few days there. We love both the mountains and the rugged coast. I hope Hearts in the Crosshairs is a big success for you. Thanks for taking part, Pat. I hope you have a great trip! I get to Tennessee every now and again. Dan Patrick is the Lt. Governor of Texas. He has the second highest executive office in the government of Texas. Thanks for weighing in on this one, Melanie!